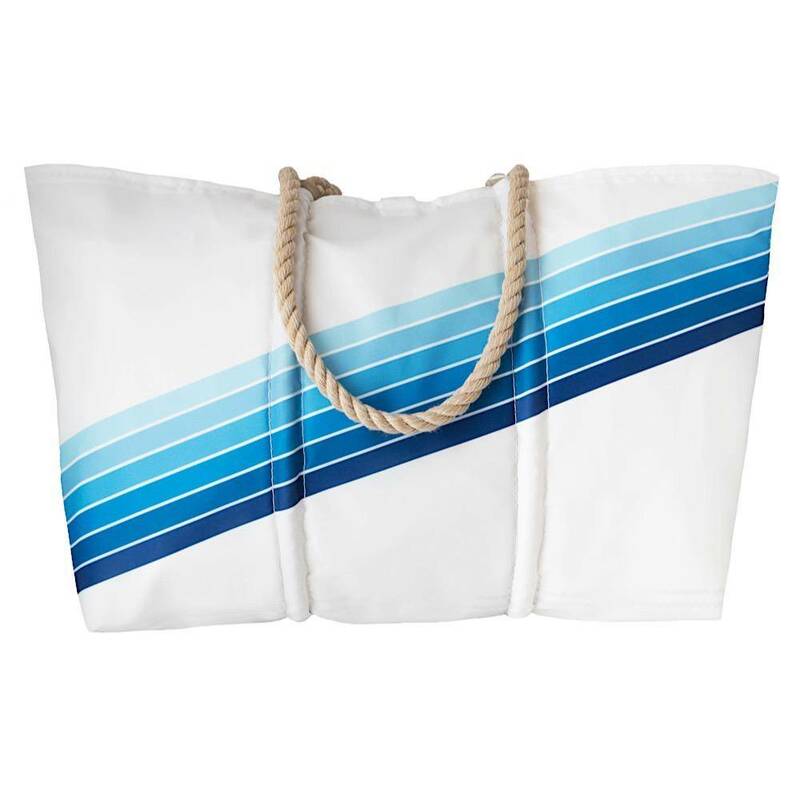 This special tote was designed exclusively for Daytrip Society by Sea Bags! Inspired by vintage surf and modern art designs, it’s is the perfect pop of color. Handmade on the waterfront in Portland, Maine from recycled sailboat sails. Durable, water resistant, and can be carried in-hand or over the shoulder. Features an inner zip pocket and metal hook closure. Machine washable. Made in Maine.